DC Comics heads to WonderCon later this month and they have lots on deck for attendees including exclusive signings and more importantly the first live broadcast of DC All Access which will broadcast from the DC's publishers panel. The panel will be hosted by Jim Lee and Dan DiDio. Who knows who might show up and join the festivities. Superman's 80 year anniversary is also being focused on heavily at WonderCon especially with the impending arrival of Action Comics #1000. Make sure to check out DC's Action Comics 1000: Celebrating 30 Years of Superman panel on March 23rd. 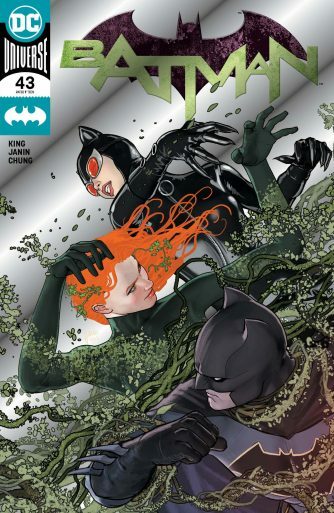 DC will also have a series of special foil covers on sale for collectors at Graphitti Designs booth with art some amazing talents including Stanley Lau aka Artgerm, Mitch Gerads and Mikel Janin. All books will be $15 each and will come bagged and boarded while supplies last. Check out the awesome covers below. Are you heading to WonderCon? If so check out the full press release below with schedules for all of DC's festivities. AND HERALDING THE RETURN OF THE RED TRUNKS! Graphitti Designs Exclusive Variants, Fun Fan Experiences, And More! BURBANK, Calif. (March 14, 2018) – From 80 years of Superman to headline-making publishing initiatives, DC Entertainment will reveal further details regarding its innovative new imprints alongside the industry’s biggest artists and writers, as well as unfold a celebration for the record-breaking ACTION COMICS #1000 at WonderCon, taking place in Anaheim on March 23-25. 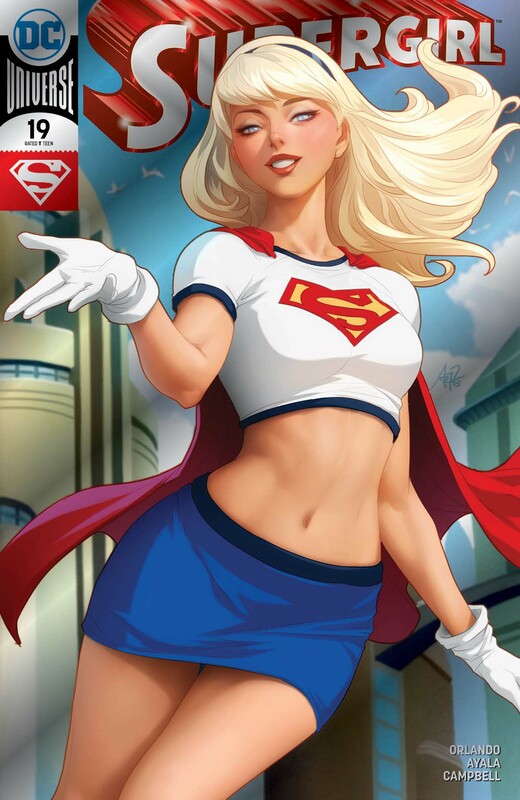 Pop culture history will be made when the series that launched the superhero genre and introduced Superman to the world, ACTION COMICS, reaches its landmark 1000th issue. From the return of the red trunks to eight decades of hope, optimism and adventure, the DC’S ACTION COMICS 1000: CELEBRATING 80 YEARS OF SUPERMAN panel will not just celebrate the history of the legendary Super Hero, but discuss why Superman is needed now, more than ever before. Plus, WonderCon will debut the first-ever DC All Access live broadcast of the DC PUBLISHERS panel. Live from Anaheim on Saturday, March 24, the special 90-minute panel headlined by Jim Lee and Dan DiDio will feature a trove of surprise guests. Be there as the DC Publishers share their bold editorial vision that promises to expand readership like never before. Fans not attending Wondercon can watch the Livestream on the DC YouTube channel or on the DC Comics Facebook page. DC’s expansive booth (#1101) will be a must visit for fans, hosting various exhibits showcasing DC’s world-class characters, fan giveaways, and more. The booth will also host a packed signing schedule including appearances from Jim Lee alongside Alex Sinclair, bestselling writer Scott Snyder (DARK NIGHTS: METAL), the producers and writers behind the hit new CW series Black Lightning, the voice cast behind Cartoon Network’s Teen Titans Go!, the Constantine animated series from CW Seed and the forthcoming Warner Bros. Home Entertainment releases Suicide Squad: Hell To Pay and Batman Ninja. VIP signings are only available through WonderCon’s online Exclusive Portal here. The final day of eligibility for VIP signings is Wednesday, March 14. 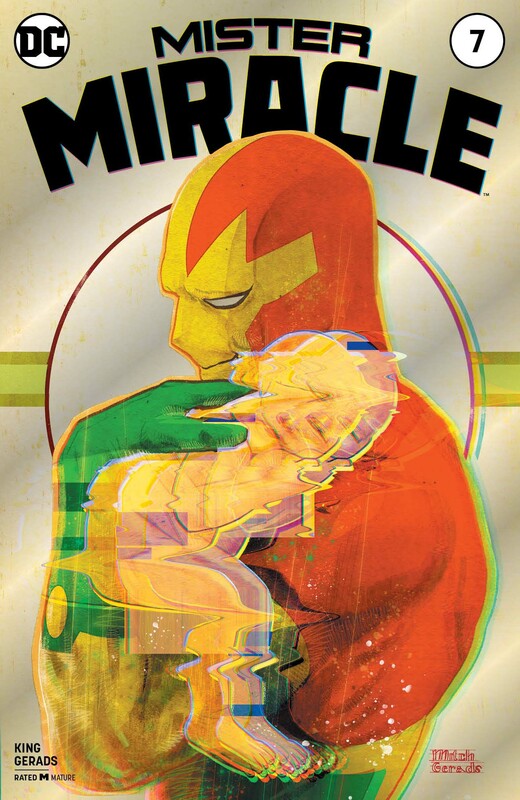 Across the aisle, the Graphitti Designs booth (#1001) will also feature a collection of rare, limited edition silver foil variant issues of DC’s hottest comics featuring covers by Mikel Janin (BATMAN #43), Stanley “Artgerm” Lau (SUPERGIRL #19) and Mitch Gerads (MISTER MIRACLE #7). All comics are priced at $15 each, bagged and boarded and available while supplies last. From bestselling series to iconic characters, DC’s WonderCon programming features a collection of must-attend panels (panelists and panel times are subject to change). For a complete list of signings and panels, behind the scenes coverage and in-depth interviews directly from DC’s web series, DC All Access, download the DC All Access mobile app. The app is available for free at the Apple App Store or the Google Play Store.